The Supreme Court is on the wrong side of history. What the majority of justices did last week flies in the face of where workers want and need to go. And it shows just how out of touch they are with our country. Despite the egregious action taken by the Court last week, working people are determined, united and ready to continue the hard of organizing. A wave of collective action is sweeping the country on a scale we haven’t seen in years. Workers, especially young people, are signing union cards by the tens of thousands. Meanwhile, our movement’s approval rating has surged to a nearly two-decade high. Our elected leaders have taken notice. House and Senate Democrats have put forward a proposal to strengthen working people’s freedom to negotiate for better wages and benefits. Something is happening in America. And it can’t be contained by the Supreme Court or the billionaires who have rigged the rules of our economy. This month, on the heels of the Janus decision, we go to the frontlines of union organizing with Oregon AFSCME and the Solidarity Alliance of Social Services. 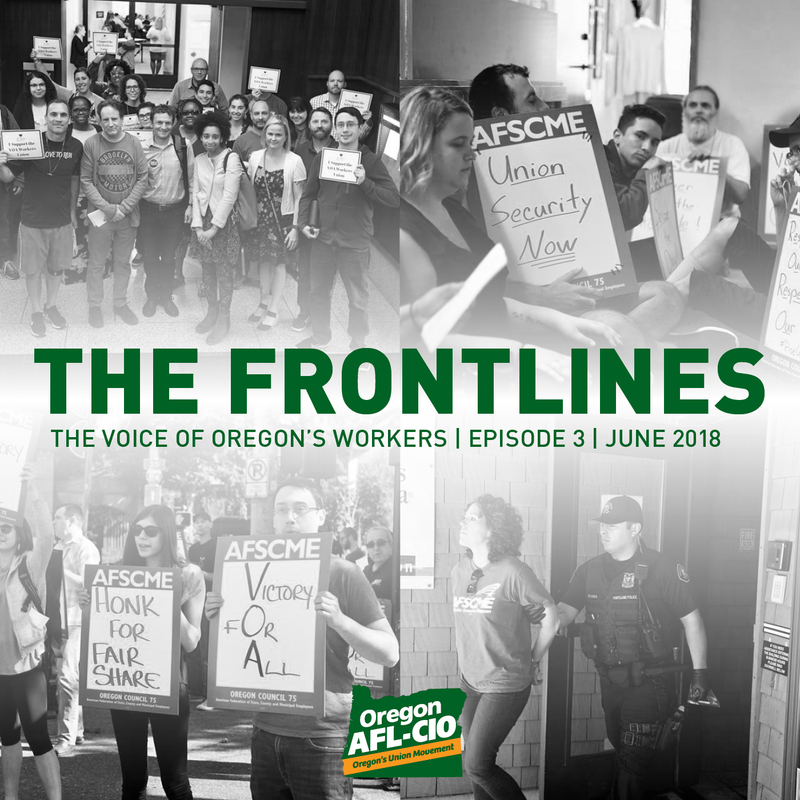 Click here to stream the episode on our website or search for The Voice of Oregon’s Workers on iTunes, Stitcher, or Google Play. On July 1, 270,000 working Oregonians earning minimum wage received a raise. 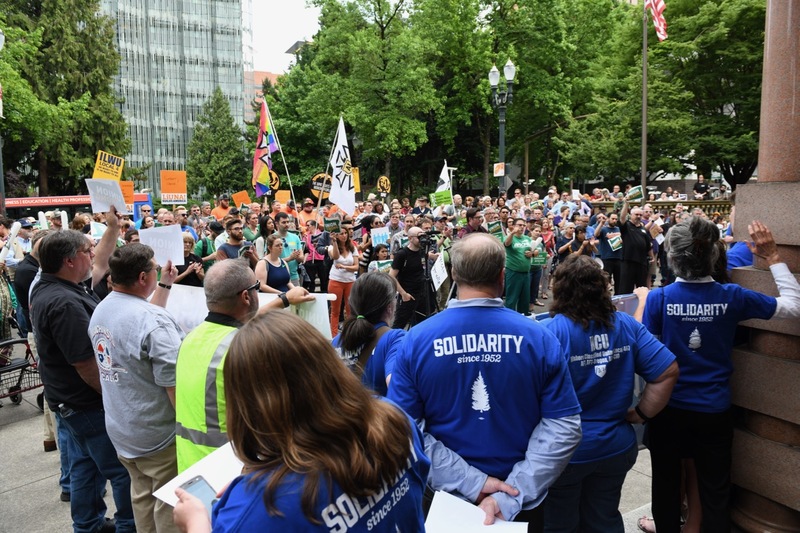 The Oregon AFL-CIO, the statewide federation of unions, applauds this increase and remains committed to ensuring all workers have a pathway to prosperity. According to a recent report, there is not a single U.S. state where a worker earning minimum wage can afford a two bedroom apartment. In Oregon, the average cost to rent a one-bedroom apartment is now too expensive for an average full-time worker, according to the National Low Income Housing Coalition. 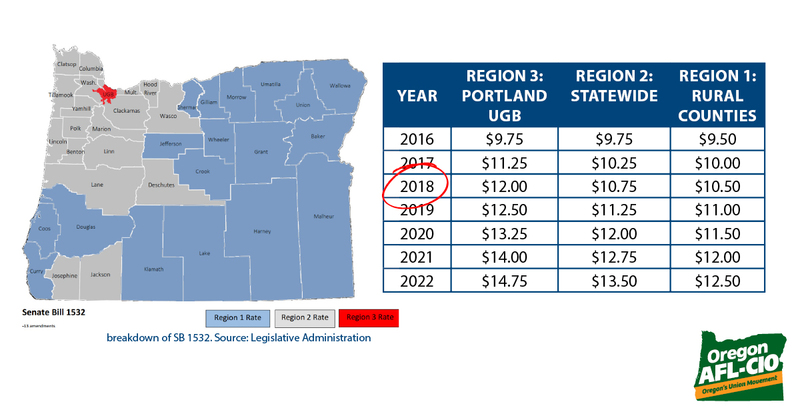 Workers earning the minimum wage should check their paystubs following the July 1st increase and contact Oregon’s Bureau of Labor and Industries Wage and Hour Division if they have any questions about the increase or to report an employer who is not increasing wages in accordance with the law. Join the International Association of Machinists and the workers from Precision Castparts for a display of unity and solidarity! Let’s send a strong message that labor and the communities behind them will never quit in our resolve for justice and equality.